Union Beach, NJ, Saturday, November 24, 2012. To many people in New Jersey and New York hurricane Sandy is a bad memory. 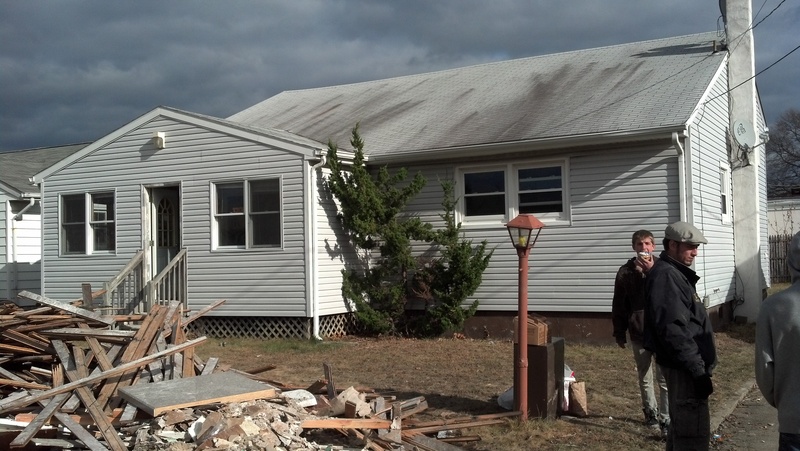 To those living in Union Beach, New Jersey, a working class community on Raritan Bay, it’s an ever-present nightmare, one that I experienced first-hand as a volunteer helping homeowners to clean up the mess they call home. 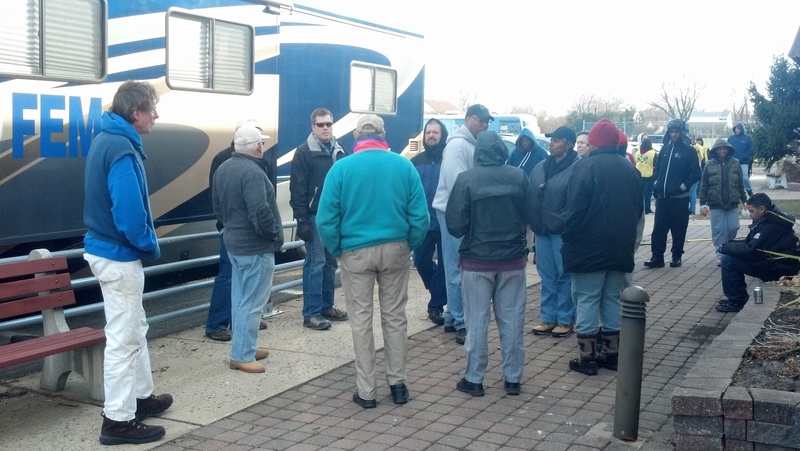 When I arrived in Union Beach on Saturday morning I was astonished to see how many volunteers where there to help. And I was told that it’s the same every weekend. Whether they were men, women, teens or seniors, they came ready to work and to go home dirty. This is my work-group. It was assembled by a progressive advocacy organization called BlueWaveNj, which is headquartered in Montclair. See below for contact information. 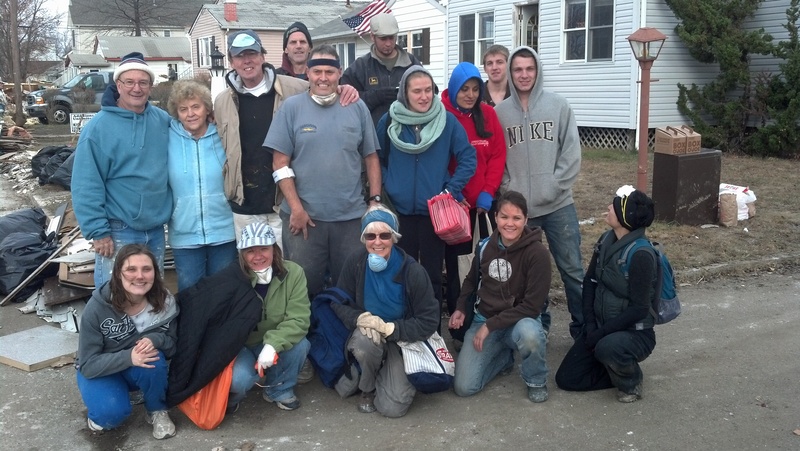 To volunteer for Sandy clean-up call (201) 247-4668 or email info@bluewavenj.org. I was also astonished to see how much work still needs to get done. First floors are a shambles and debris is piled everywhere. In the two houses my group worked on we removed water damaged sheetrock, still-soaked insulation, hardwood floors, paneling and a couple of unusable toilets. This is the first of two houses our group worked on. 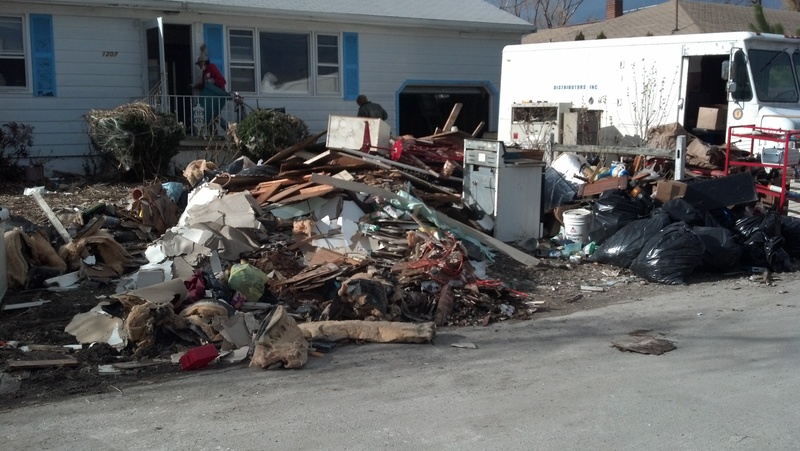 Piles of debris such as this litter many of the streets of Union Beach. While helping one homeowner get a new boiler out of his car, he pointed to a 20-odd ft. boat sitting on blocks in his back yard. He said that storm surge water lifted that boat to the height of an upper story window where he was able to hang on to it as it slammed against his house. 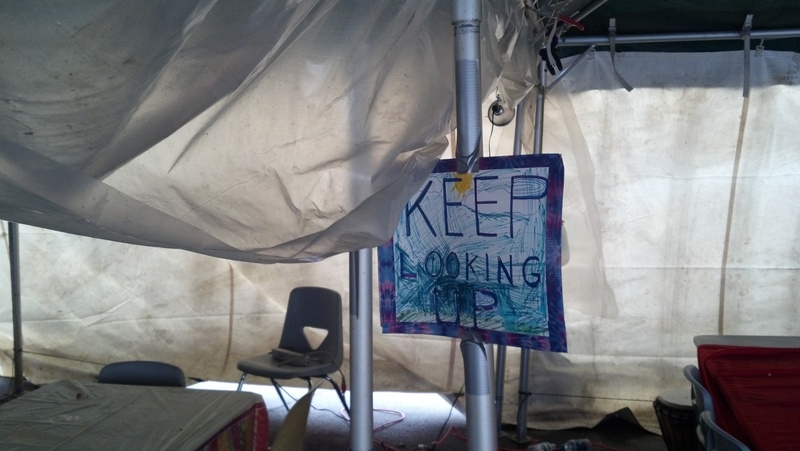 Without doubt there are many stories like that in this ravaged town, but the overarching story is that lots of people who used to feel secure about where they live don’t feel like that any longer. Sandy is a bad memory that just won’t go away. FEMA is on the case. 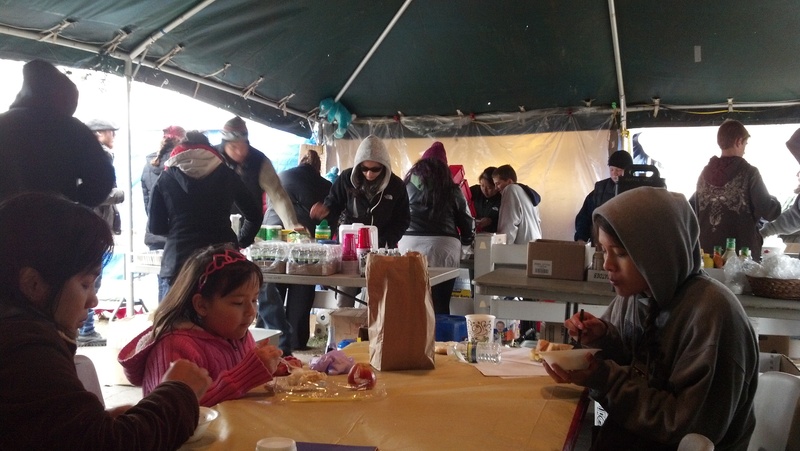 Food tents serve hot food to both volunteers and homeowners.